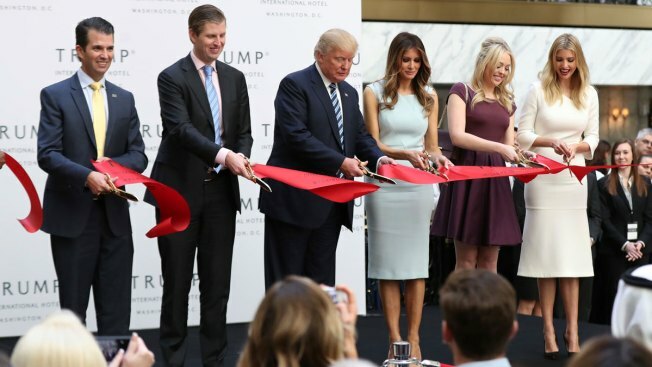 Republican presidential candidate Donald Trump, together with his family, from left, Donald Trump Jr., Eric Trump, Trump, Melania Trump, Tiffany Trump and Ivanka Trump, cut the ribbon during the grand opening of Trump International Hotel in Washington, Wednesday, Oct. 26, 2016. 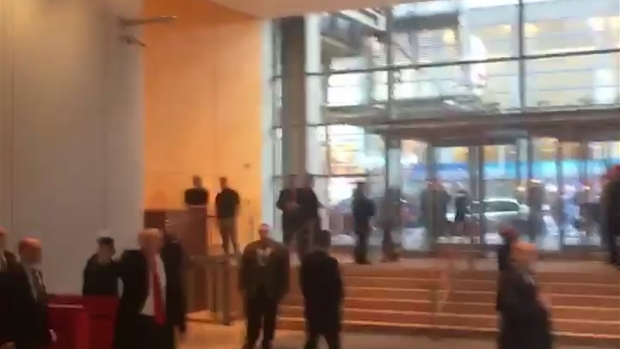 Nearly every morning since their father's stunning victory on Election Day, three of Donald Trump's grown children walk through the Trump Tower lobby and board an elevator. But are Don Jr., Ivanka and Eric going to the campaign office on the fifth floor? Their business offices on the 25th floor? 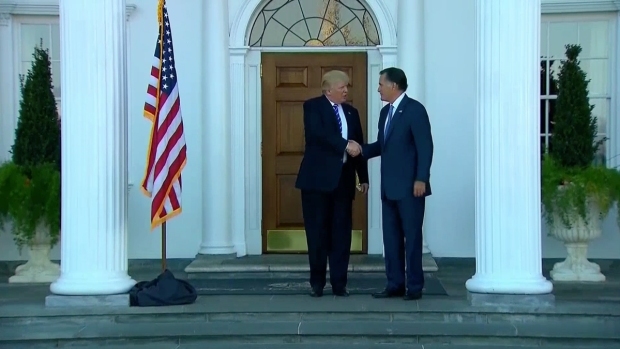 The president-elect's penthouse on the 56th floor? The children are poised to wield incredible influence over their father, even if they don't follow him to Washington. Trump said consistently during the campaign that if he won, those children would stay in New York and run his business. But the three - plus Ivanka's husband, Jared Kushner - were all named to the transition team's executive committee. The children - they were not made available for interviews - are limited in what formal role they could take in a Trump administration. 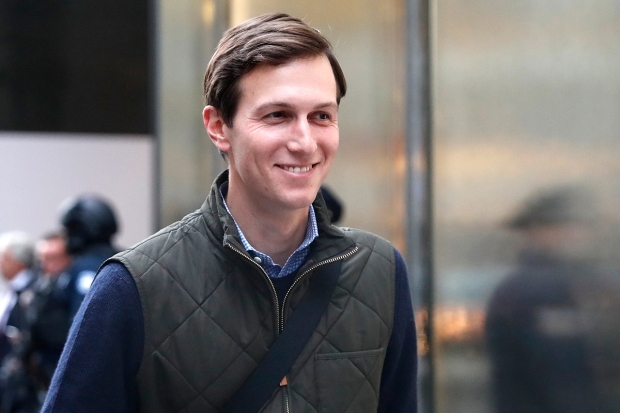 But the law does not appear to prevent the children - or Kushner, who is one of Trump's closest aides and is said to be weighing a White House role - from serving as unpaid advisers or providing informal counsel. The three grown children - their mother is Ivana Trump, Trump's first wife - delivered well-received speeches at this summer's Republican National Convention in which they tried to humanize their father.